I was itching to do some sewing: it felt like it had been ages since I’d picked up some thread snips and a seam ripper. Even then, I ummed and ahhed about what to make until I came across this pattern. As with a lot of the patterns I have in my (rather overly) substantial collection, I’ve had this one for a long time. In fact, it’s the same with the cotton – a very soft cotton with rather faded looking flowers on it. I loved the pattern when I bought it, and I love it even more now, especially after having done the FBA on it (the pictures of it before the FBA are indecent so I wouldn’t deign to show you them). I made up view c (the middle one on the picture above) and added around 2 inches to the bust, which may have been a smidgen too much, but the dress is particularly comfy with the extra room up top and it’s definitely better with a tiny bit of extra room than squishing myself into a dress that’s too small. 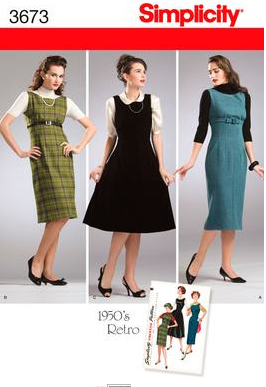 In fact, like the cover of the pattern itself, I may even wear something with sleeves under this dress in the winter, allowing me to channel my inner Angela Chase. Although she obviously would wear it way better than me, with lots more style and angst. And with Jordan Catalano. The fabric is so incredibly soft and cosy. It’s printed on a base of taupe (which you can see when you turn the fabric over) which gives it this nice vintage quality. I bought it at the Sewing for Pleasure show a few years ago now, and had originally intended it for pyjamas or something similar that I could cosy up in in winter time. However, when I was looking for something in my stash to use I thought this would be perfect – the vintage style of both elements coming together nicely. 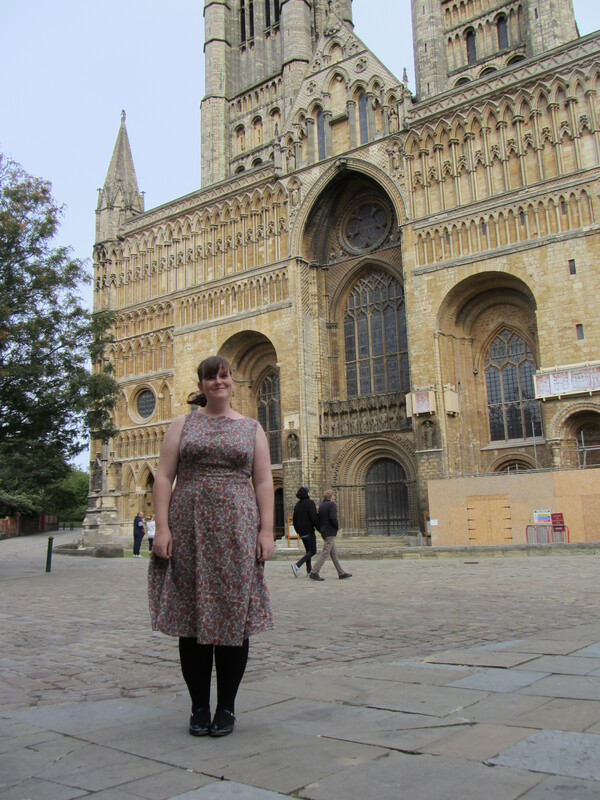 And here’s the finished article, in front of Lincoln Cathedral on a very, very blustery day! God alone knows what I was saying here! Directing my photographer, the eminent Tabatha Tweedie? The very beautiful Little Tweedie (and some workmen)! This dress has had lots of wear so far, and I can see it getting more and more during the winter. Since the top is lined as well, it makes it lovely and warm to wear. I love it! ← Completed Project: A pirate costume for the Tweedie children! Thank you very much – I really love it.It’s a great pattern and I plan to make more when I get the chance! Lovely dress. 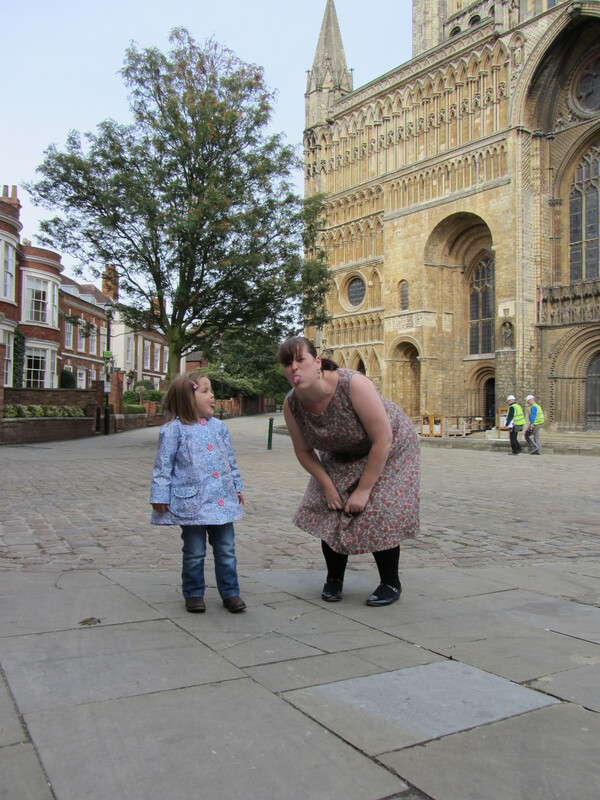 Nice to see lincoln cathedral making an appearance too. I live near lincoln and you take for granted its scale and beauty. It is such a beautiful place. We didn’t get a chance to go in but I definitely will the next time. Steep hill was a lot of fun! Thank you – I do too!